What is the mind? What is the experience of the present moment without the overlay of ego, attachment, and desire? 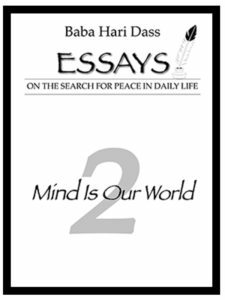 This essay of Baba Hari Dass who has written and published books on the Bhagavad Gita, Yoga Sutras of Patanjali, and Samkhya Karika, as well as both children’s and adult stories answers these questions. This essay includes a question and answer section at the end on the most common questions that come up when one wants to understand and practice living fully in the present moment.